MILAN -- Fiat Chrysler Automobiles said adjusted operating profit for the second quarter period rose 16 percent to 1.63 billion euros ($1.79 billion). Sales fell 2 percent to 27.89 billion euros and came below expectations of 29.3 billion euros, the automaker said in a statement on Wednesday. Earnings before interest and taxes (EBIT) declined 14 percent to 1.06 billion euros because of 414 million euros in charges for recalling cars with defective Takata air bags. Global deliveries in the quarter slipped 1.3 percent to 1.18 million vehicles. Canadian shipments were flat as NAFTA region shipments fell 2 percent. FCA said net industrial debt fell to 5.5 billion euros by the end of June from 6.6 billion euros three months earlier, helped by strong cash generation from operations. CEO Sergio Marchionne has vowed to wipe out debt by 2018, but investors are worried about product delays, vehicle recalls and persistent problems in Brazil. 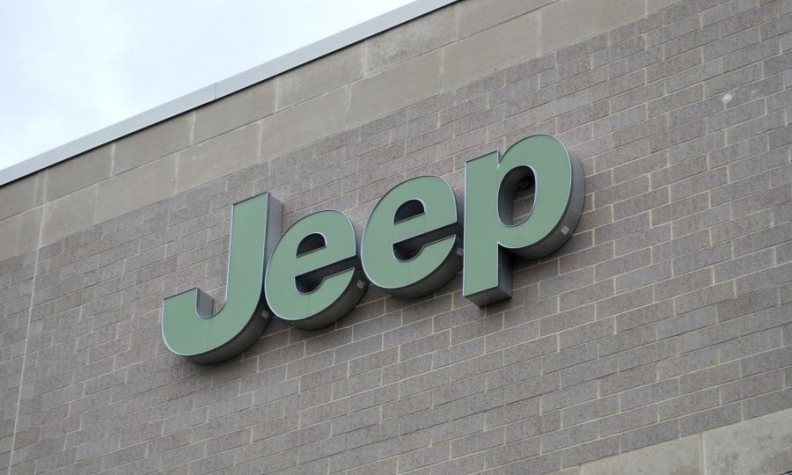 FCA has benefited from robust demand for Jeep SUVs and Ram pickups in North America, while a recovery in the European market helped to bolster the company’s profit in the region. Jeep deliveries surged 16 percent with gains in all regions. The company said adjusted EBIT in its North America region rose 4 percent to 1.37 billion euros. Revenue in the region improved 2 percent to 17.5 billion euros. In Europe EBIT increased to 143 million euros from 57 million a year earlier as passenger car shipments jumped 13 percent to 292,000 and light van sales rose 16 percent to 175,000. Revenue was up 5 percent to 5.8 billion helped by the launch of the new Tipo compact car and higher van sales. FCA broke even in Latin America. The company's Maserati luxury sports car unit reported lower profit and declining vehicle sales, although volume in China recovered. The brand's global shipments fell by 16 percent to 6,912 with unit sales down 26 percent in North America, 17 percent in Europe but up 20 percent in China. Maserati's EBIT fell 16 percent to 36 million euros, primarily due to lower volumes, along with higher industrial and commercial launch costs for the new Levante SUV and restyled Quattroporte sedan. FCA increased its target of boosting full-year adjusted operating profit to more than 5.5 billion euros from its previous forecast of at least 5 billion euros but kept its debt projection intact. The forecast suggests a slowdown in the second half. FCA generated 3 billion euros in adjusted operating profit in the first half, a 43 percent surge from a year ago. North America accounted for nearly 85 percent of FCA's quarterly profit but the automaker is bracing for slowing growth in the U.S. after years of expansion. FCA is retooling several plants in the United States to boost production of more profitable SUVs and trucks, improve its model line-up and strengthen its finances before the U.S. market comes off its peak. The carmaker has already made strides in narrowing the North American margin gap with larger rivals GM and Ford. Profit margins in the region rose to 7.9 percent in the quarter from 7.7 percent last year, compared with 12.1 percent for GM, but investors wonder if that momentum can be sustained. In response to an investigation by U.S. authorities, the company said it will revise the way it reports figures in the country beginning this month. Under the new method, Fiat Chrysler’s streak of monthly U.S. sales gains would have ended in September 2013 rather than continuing through June.